The ECB head announced a rate cut a month earlier than expected. It won’t work miracles, but might fend off deflation. 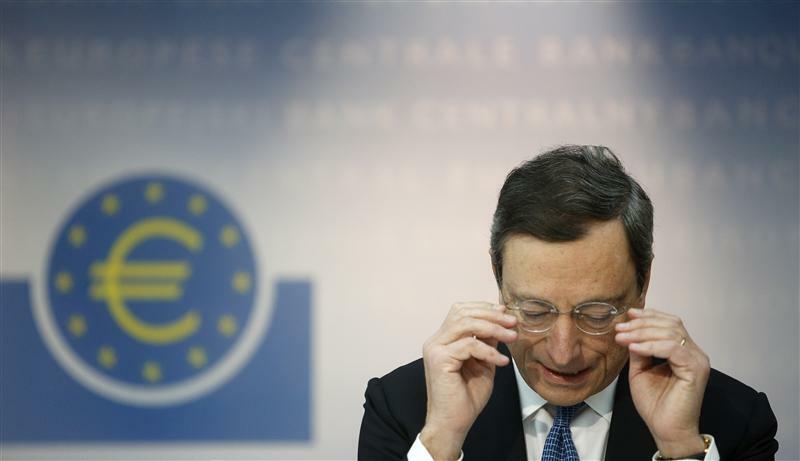 With traditional monetary tools near exhausted, Draghi will hope for a calm 2014. If it isn’t, his talent for activist policymaking will face more severe tests. The European Central Bank lowered its main refinancing by a quarter percentage point to just 25 basis points, a record low. The move came after a report showed prices in the euro zone rose by just 0.7 percent in October. The ECB seeks to keep inflation rates just under 2 percent. The ECB also said it would continue its “full allotment” regime into 2015, whereby it allows banks to draw as much short-term liquidity as they want at a fixed price, rather than auctioning it. All but one of the 23 money market traders polled by Reuters this week expected the ECB to remain on hold at Thursday’s meeting, pending a clearer view about where euro zone inflation is heading. The euro more than 1 percent on the day to hit a seven-week low of $1.3304, down from around $1.3490 just before the ECB announcement.